Radiant your Skin Care with the [d'Alba] White Truffle Whitening Cream 50g! we aim to provide you best korean products to take good care of your skin, including Cosmetics, Moisturizer, Cream. Hydra Cream online. 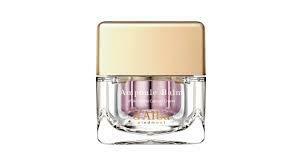 d’Alba Ampoule Balm White truffle Whitening Cream returns radiance to dark skin suffering from pigmentation. Formulated with Niacinamide and Diamond Powder, the balm is an effective whitening solution for pigmentation cause by sun exposure, pregnancy or acne. 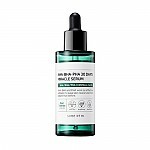 Contains Adenosine and a variety of natural oils to moisturize, nourish skin, and provide anti-aging benefits. Delivered vitamins and antioxidants strengthen skin’s protective barrier and make it resistant to pollution and other external stressors. Recommended for tackling pigmentation. Suitable for sensitive skin. Apply an appropriate amount to cleansed (and toned) skin. Pat into the skin until fully absorbed. ang…@hotmail.com it's a tone-up cream, didn't realise before.